For those who seek success in every sphere of life; personal as well as professional must use Sarva Siddhi Maha Yantra. It is blessed with all the deities of wealth, prosperity, protection, success and knowledge which brings fulfilment of all material desires. 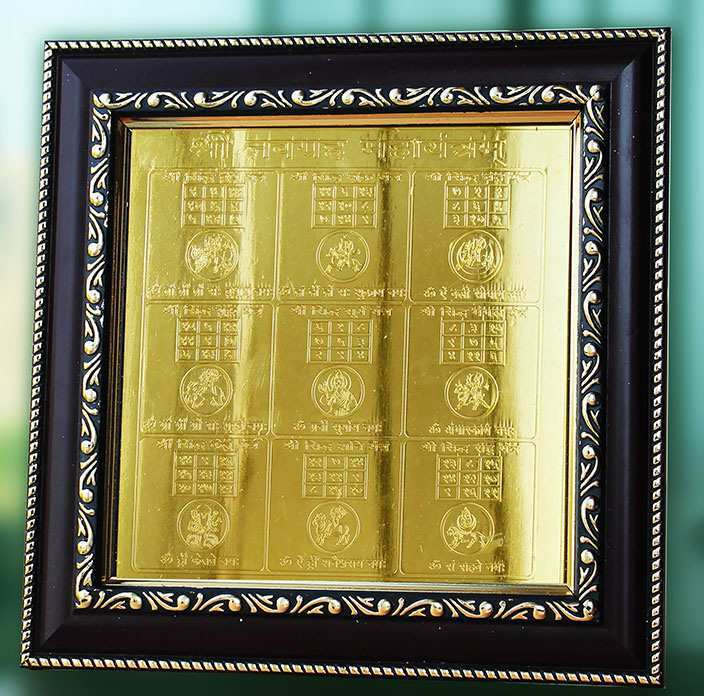 It is made in thick copper sheet and 24 carat Gold plating comprising of the following exclusive 15 Yantras: Shree, Kuber, Durga, 9 Navgraha Yantras, Ganesh, Sudarshan, Vishnu. Siddhi, success in undertakings, and intelligence. Wealth, prosperity and good fortune. Fulfilment of worldly desires through inner cosmic power and mental strength. Luck in business, wealth, prosperity and protection from all sorts of dangers. Power, authority, vigour and conquest of enemies, law suits, success in quarrels and competitions. Close your eyes and concentrate on the deity to bless you with wishes. Now with all sincerity, ask deities on the Yantra for whatever you wish. 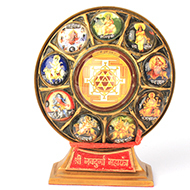 Represents: Shree, Kuber, Durga, 9 Navgraha yantras (Surya, Chandra, Mangal, Guru, Buddh, Shani, Shukra, Rahu, Ketu), Ganesh, Sudarshan, Vishnu. Purpose: for material and spiritual success. Mantra: Om Shreem Hreem Shreem Kamale Kamalalaye Praseed Praseed ! Om Shreem Hreem Shreem Mahalaxmayee Namaha !! Om Suryaaya Namah, Om Chandraya Namah, Om Budhaya Namah, Om Brihaspataye Namah, Om Mangalya Namah, Om Shukraya Namah, Om Sanaye Namah, Om RahaVe Namah, Om KetaVe Namah, Om Navgarihaya Namah ! !